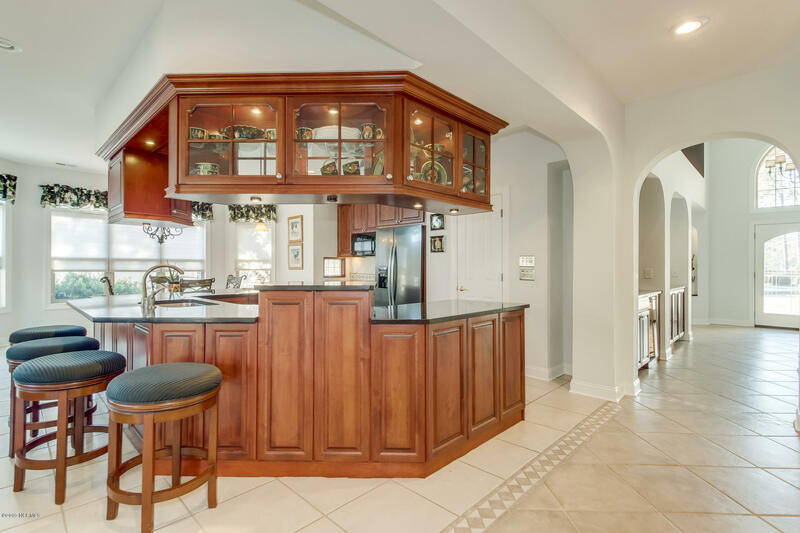 WATER VIEWS AND ELABORATE INTRICATE DETAILS THROUGHOUT make this 4 BR 4 BA spectacular custom built home a rare find. 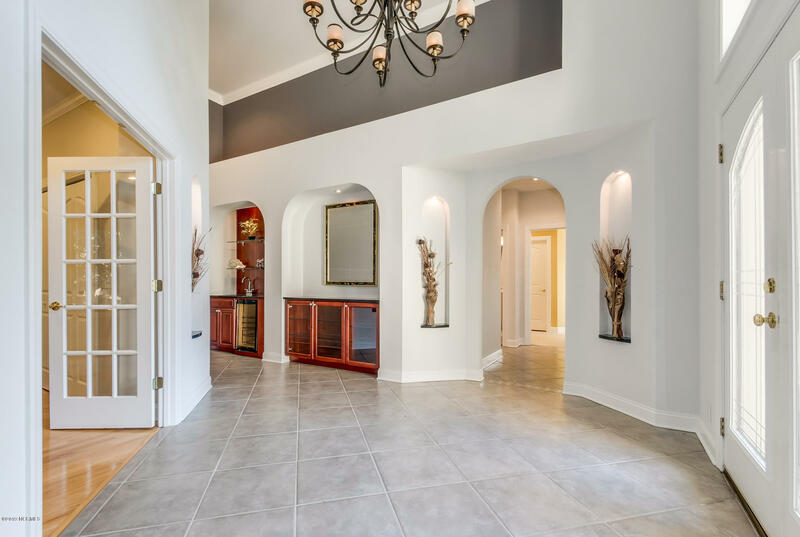 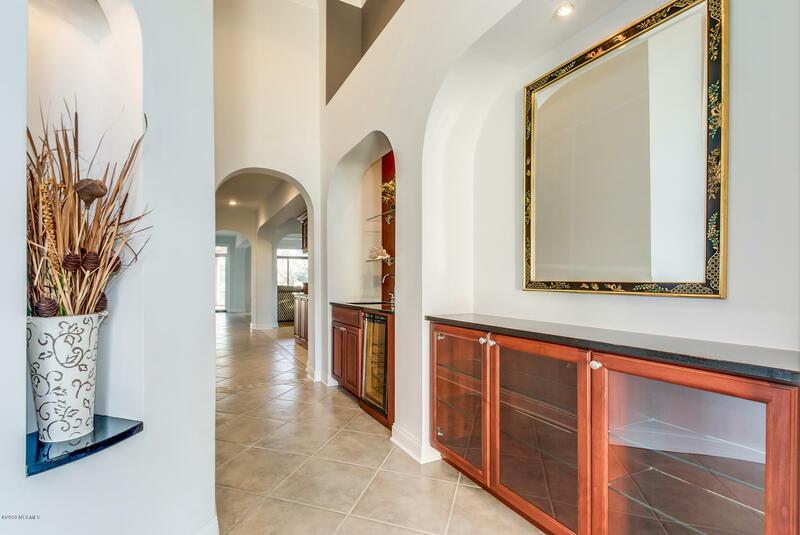 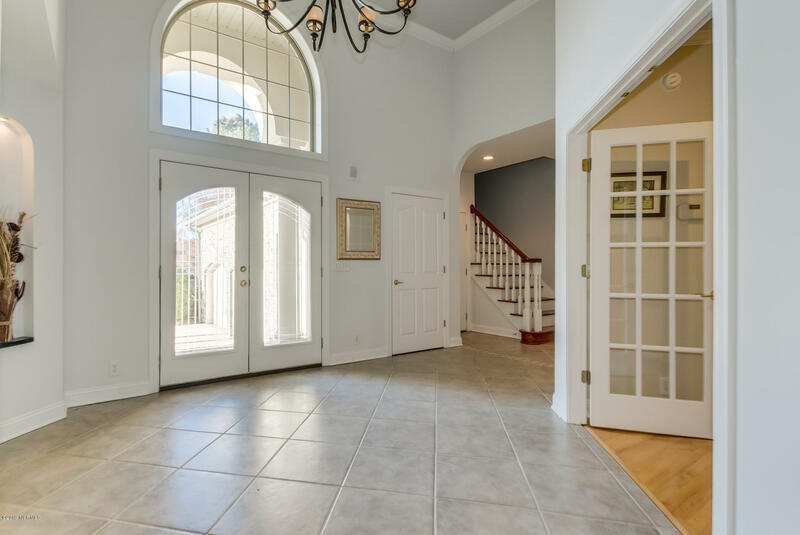 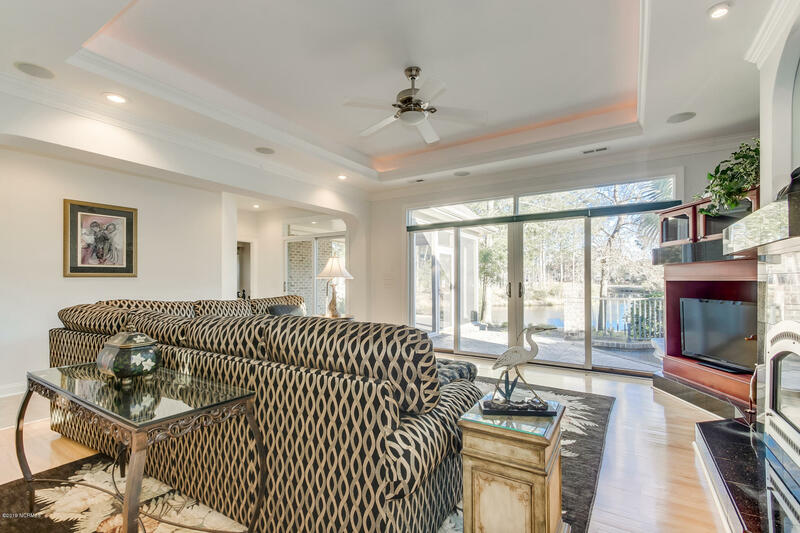 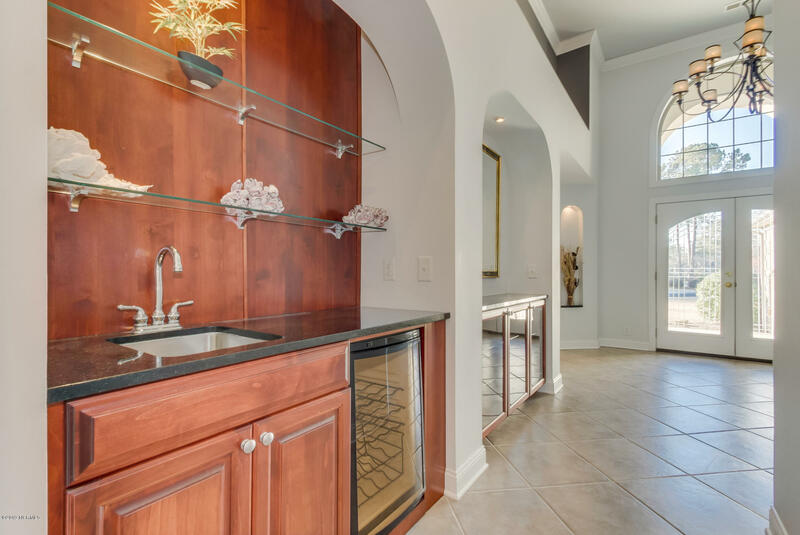 Enter through the double front doors to the tiled foyer leading to the inviting wet bar and vast open floor plan perfect for entertaining. 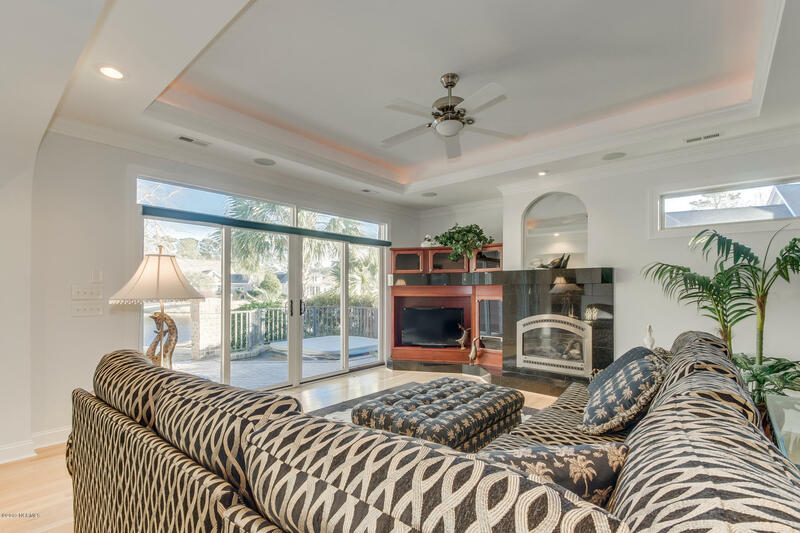 A living space with tray ceiling and delightful fireplace spotlights colossal windows on the back of the home showcasing the gorgeous water views, natural light, and access to an outdoor porch with detailed tile work and tempting hot tub. 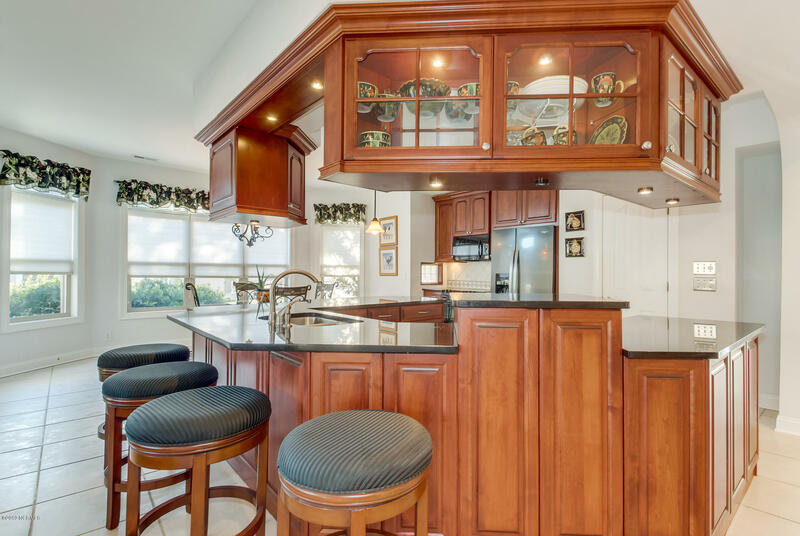 An adjoining gourmet kitchen presents a U-shaped breakfast bar, granite countertops, tile backsplash, gorgeous cherry cabinets, and black appliances. 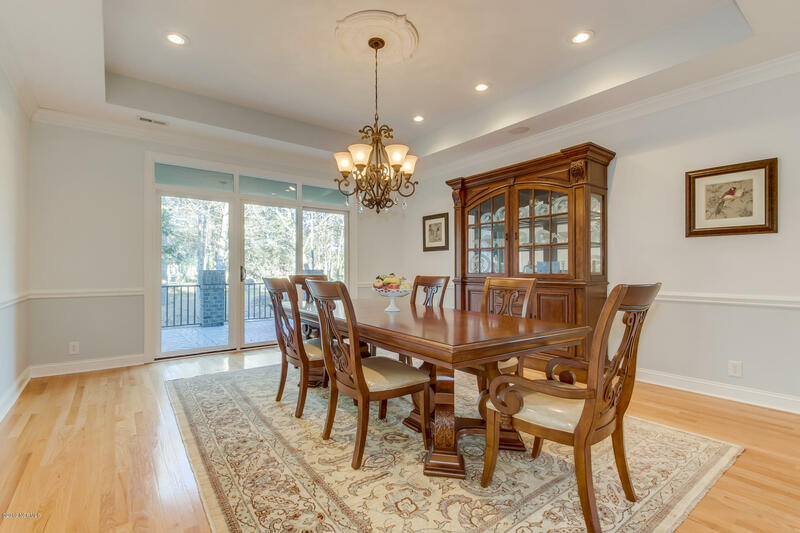 A huge adjacent formal dining room with a tray ceiling is suitable for receiving guests and accesses the outdoor porch. 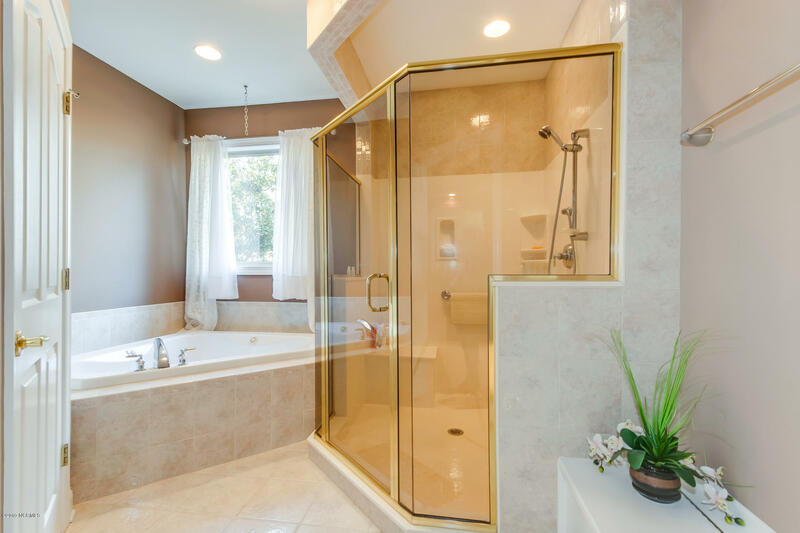 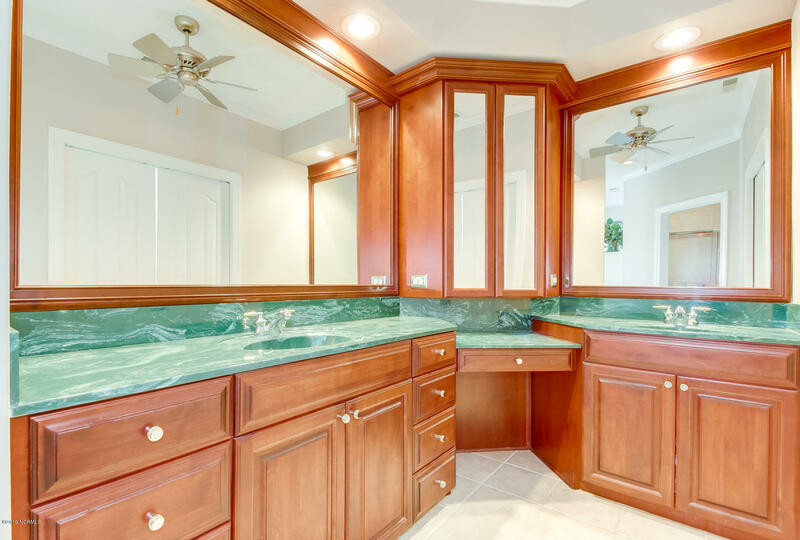 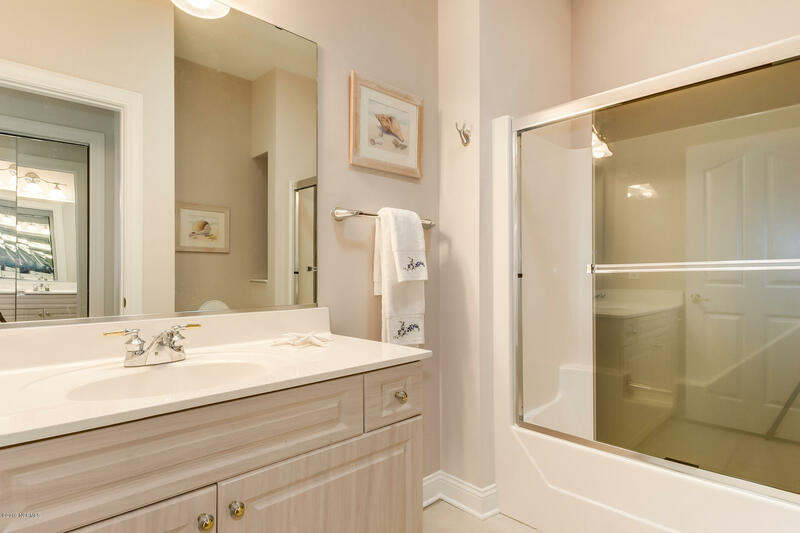 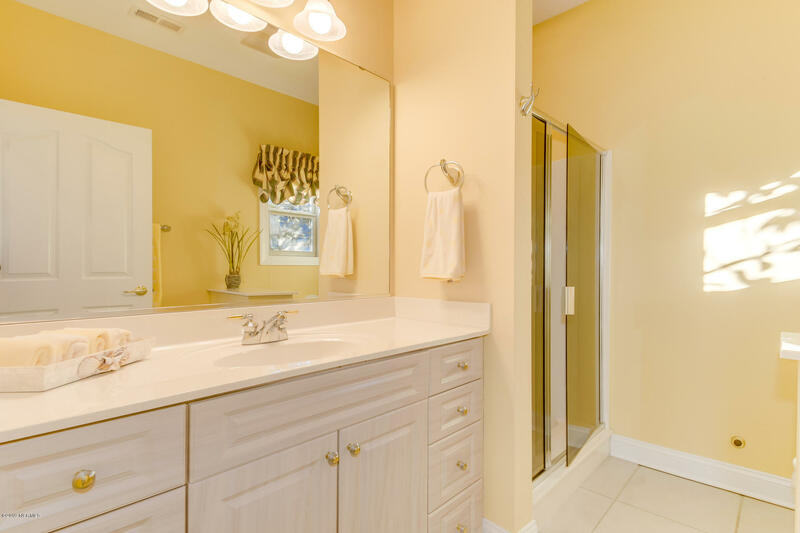 The master ensuite showcases tray ceiling, spacious walk-in closet, a bounty of cherry cabinetry with double vanity and make-up area, corner tub, and tiled walk-in shower. 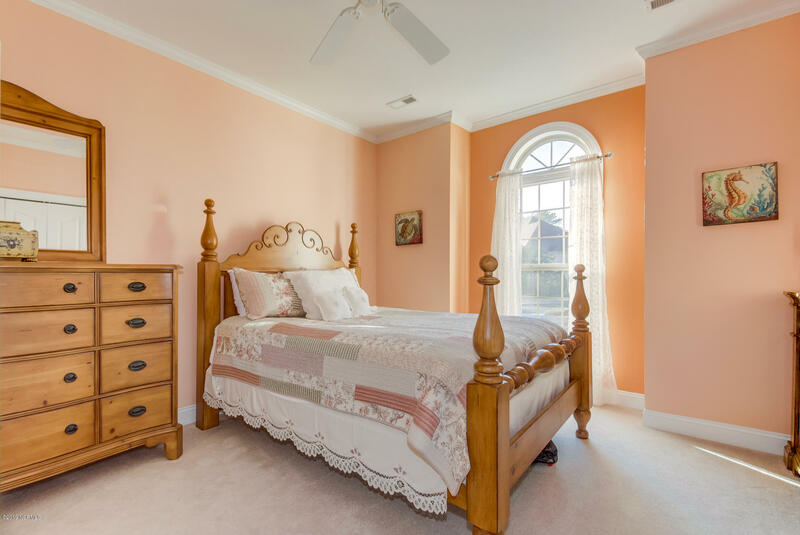 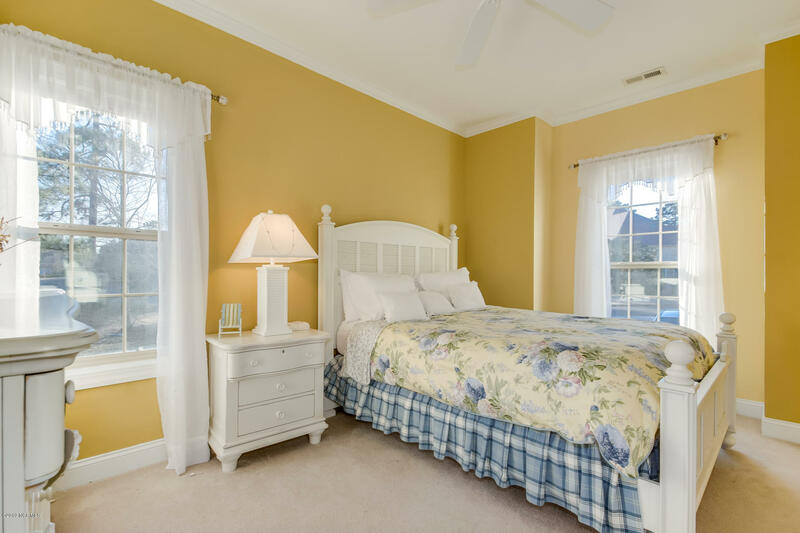 Three additional bedrooms ideal for children or guests. 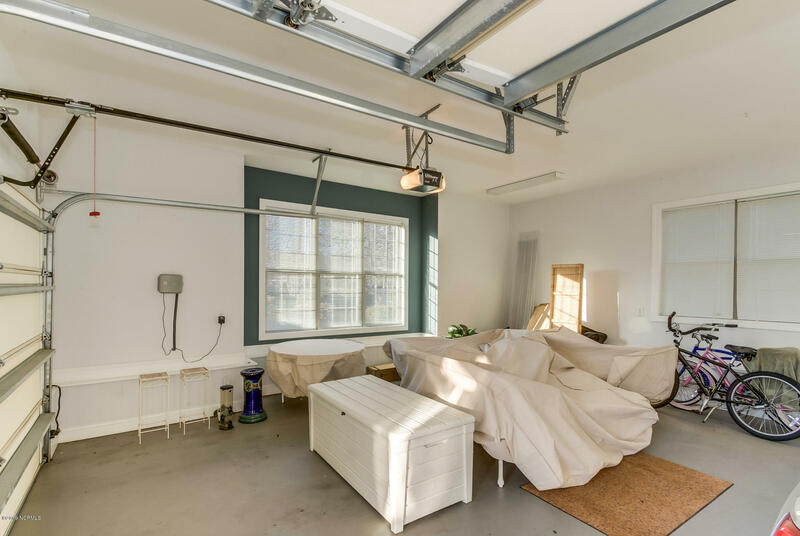 Over the garage is a uniquely designed bonus room with full bath. 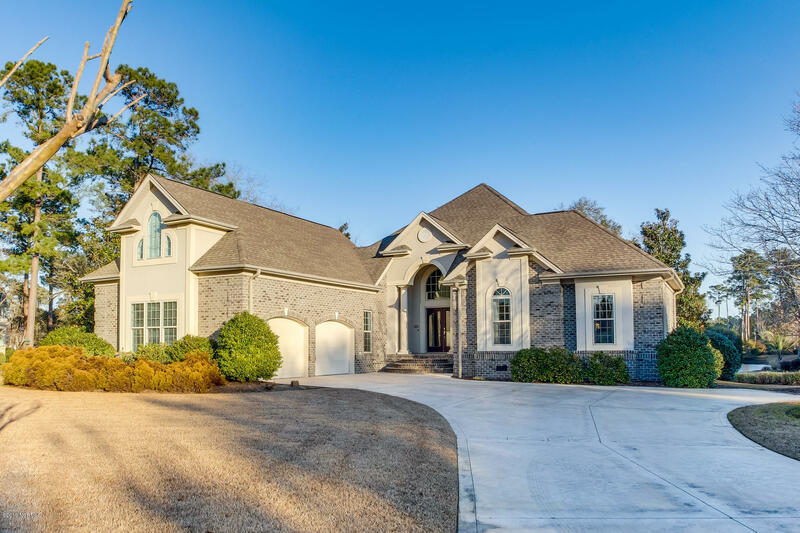 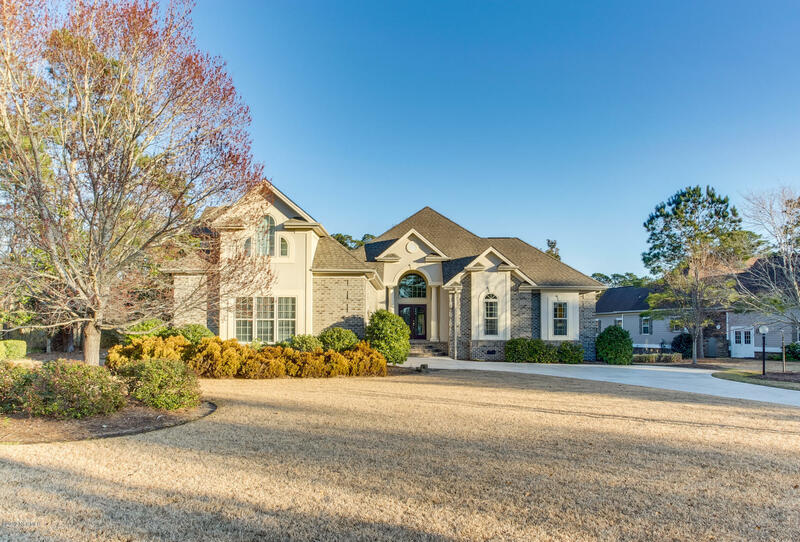 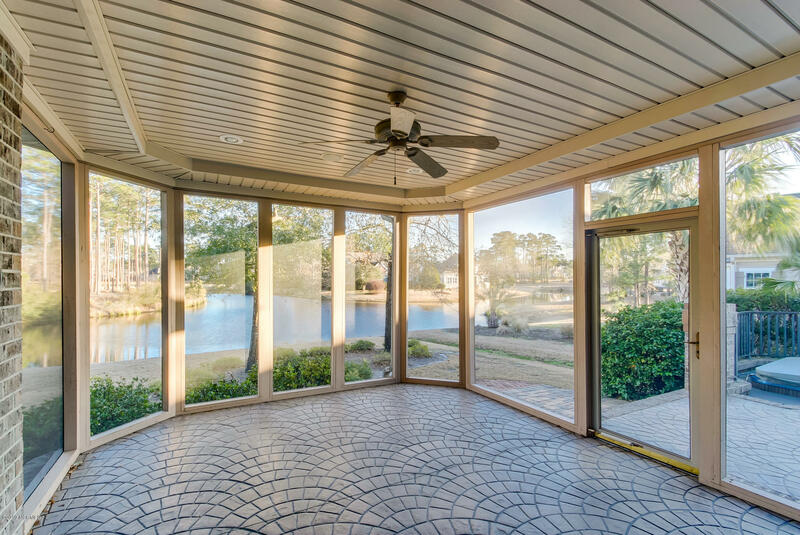 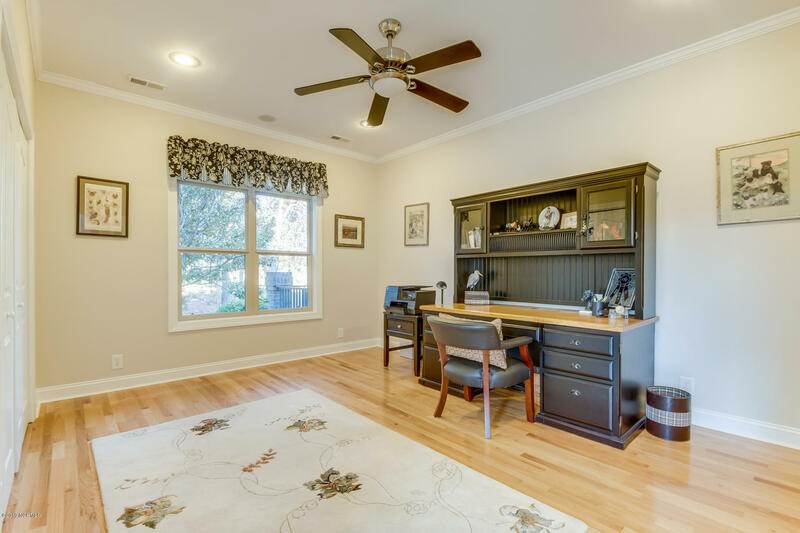 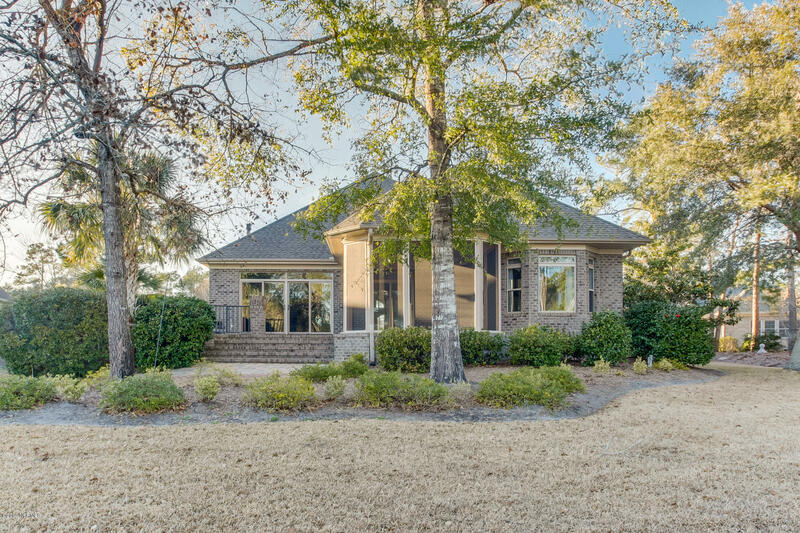 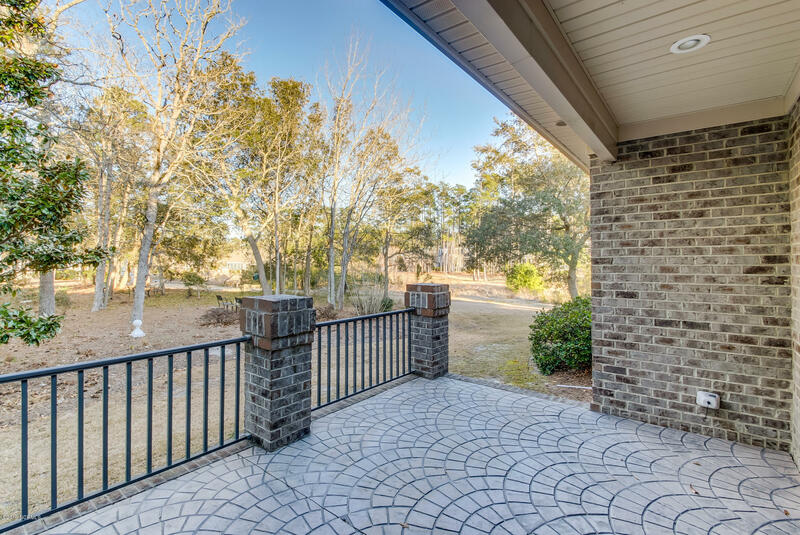 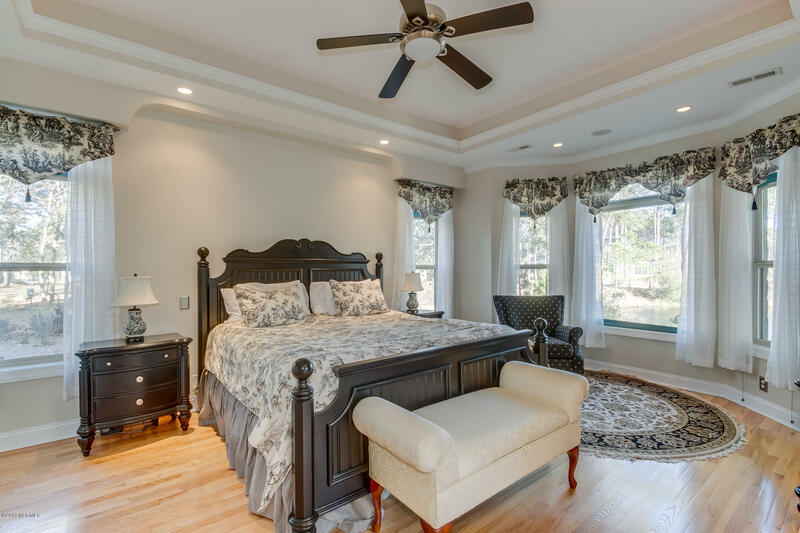 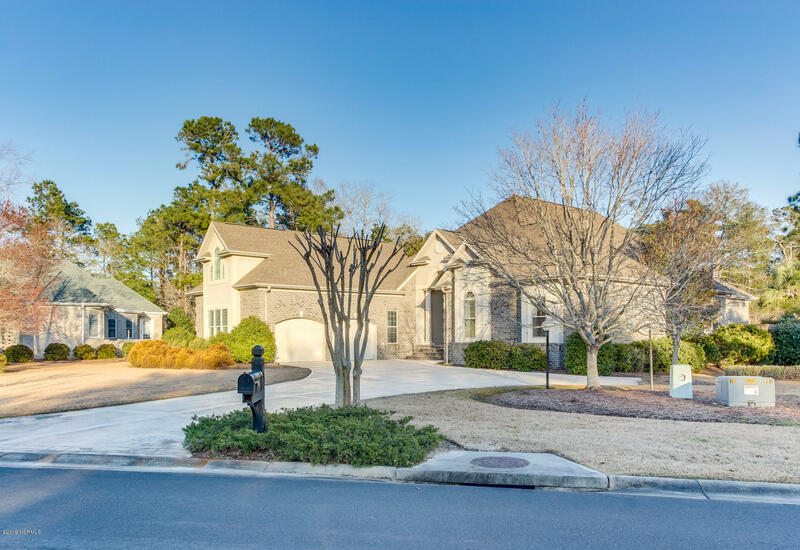 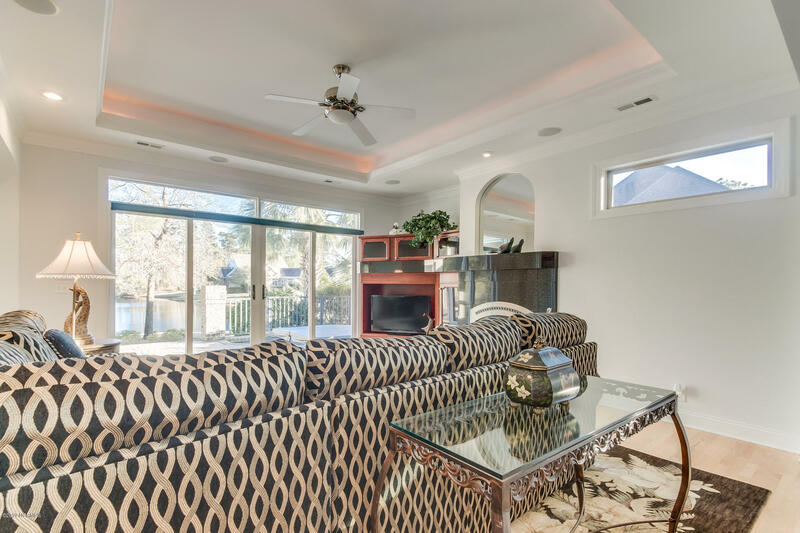 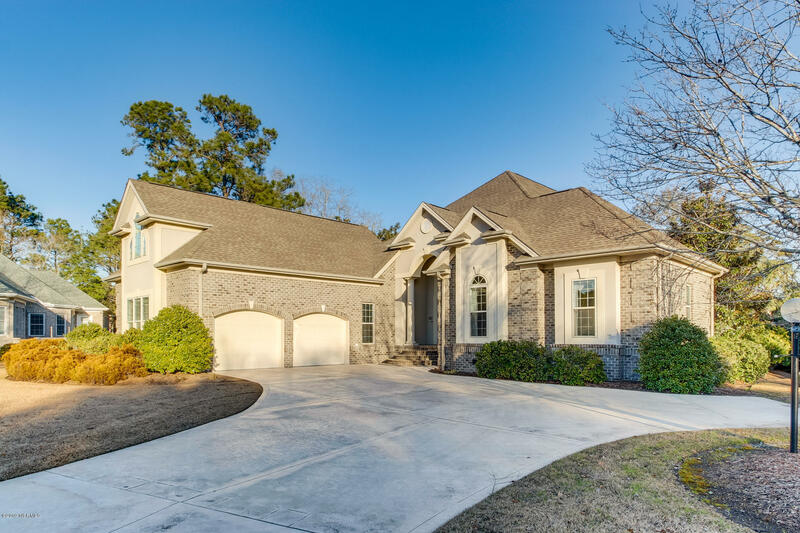 Other features include a gorgeous screened porch, side entry double garage with an abundance of extra storage, beautiful ornate front entry, large laundry room, irrigation system, security lighting, and large landscaped lot. 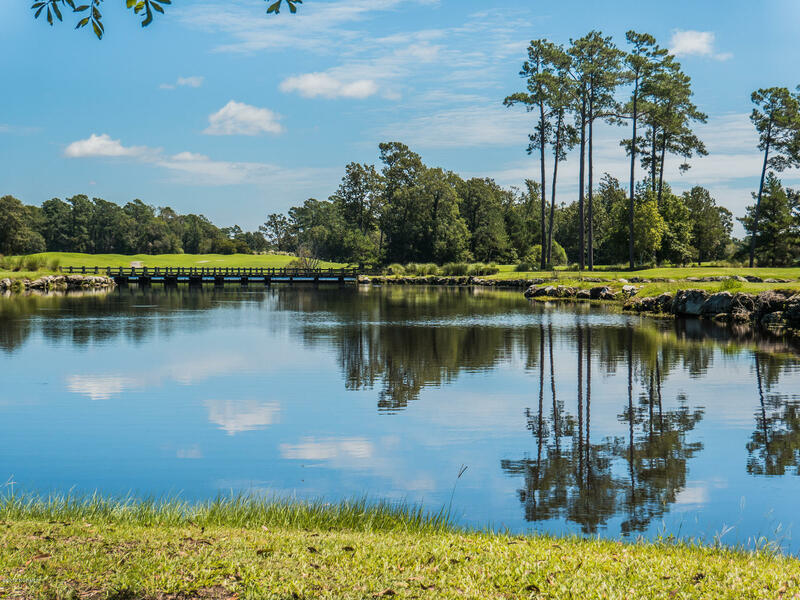 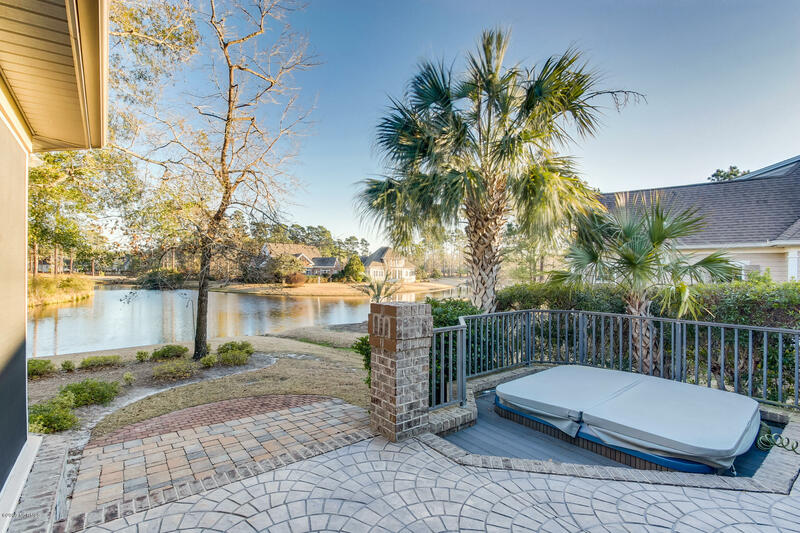 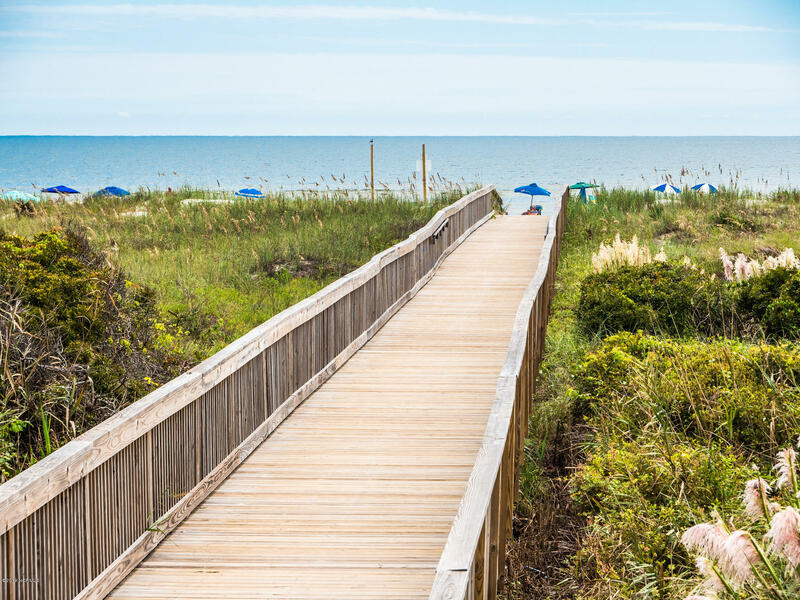 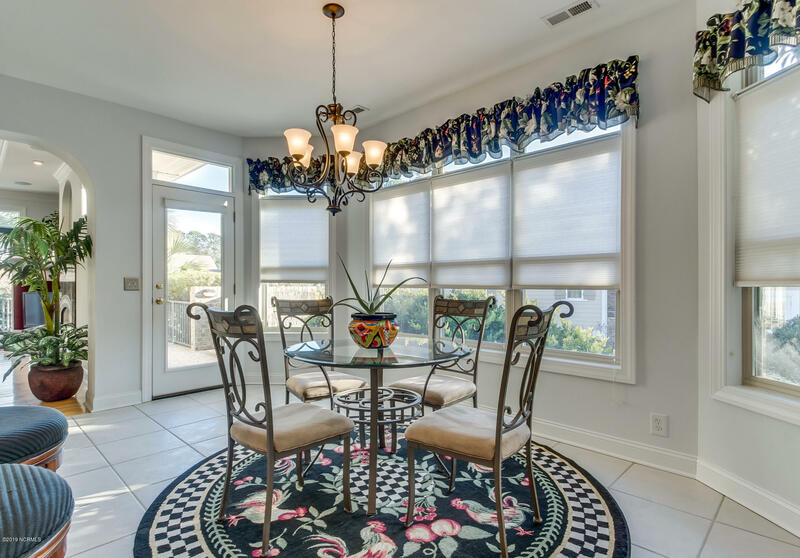 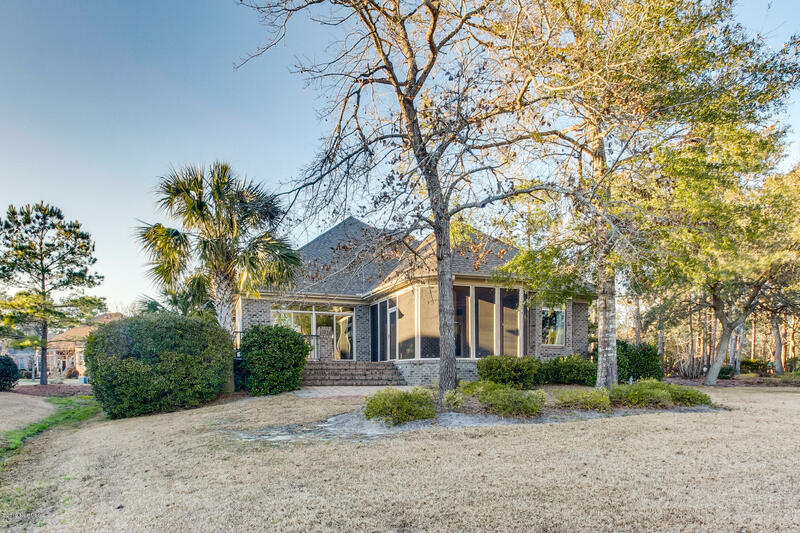 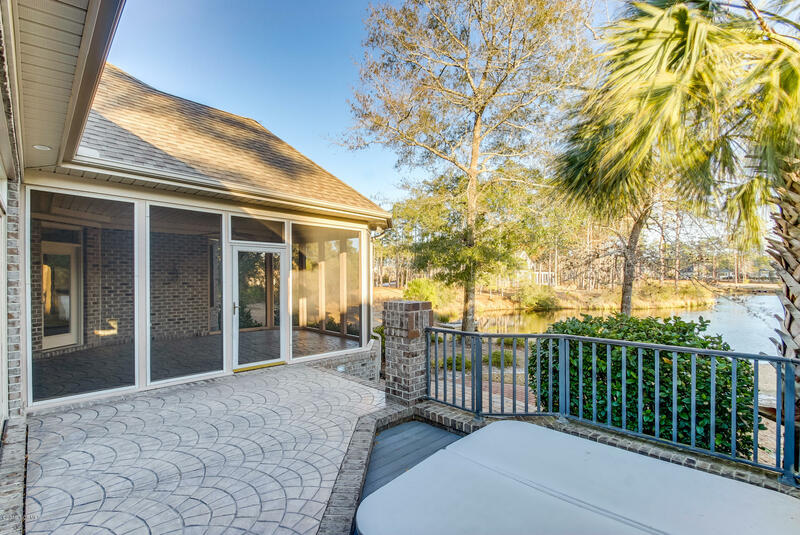 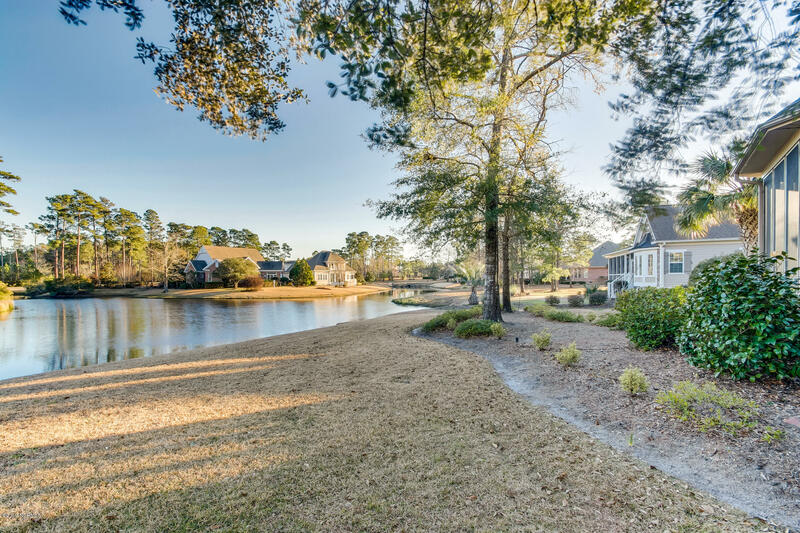 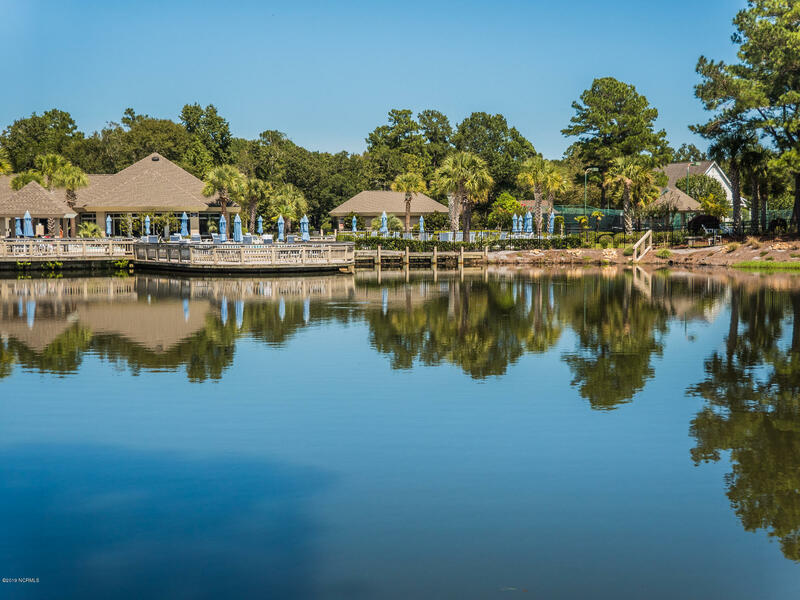 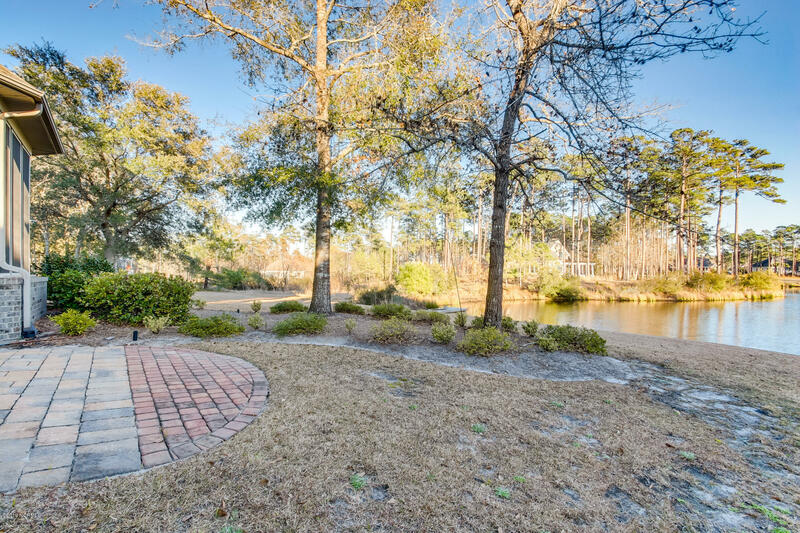 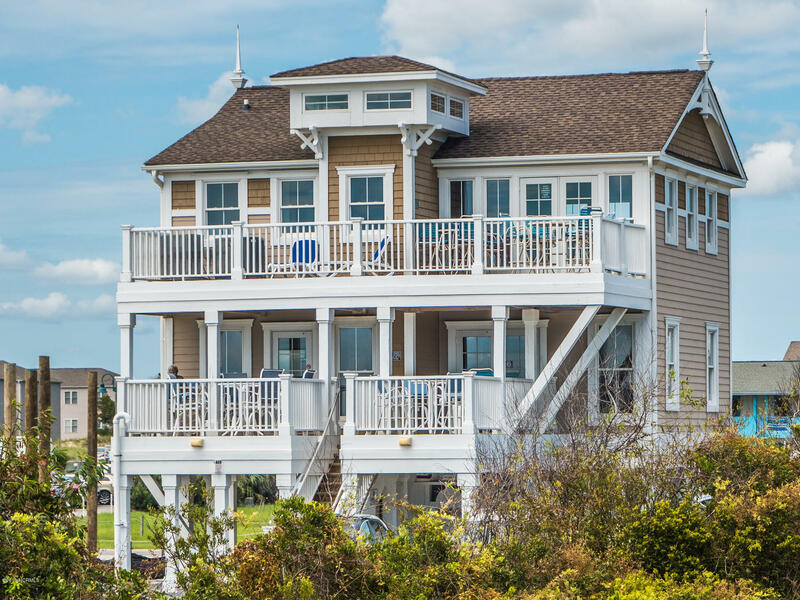 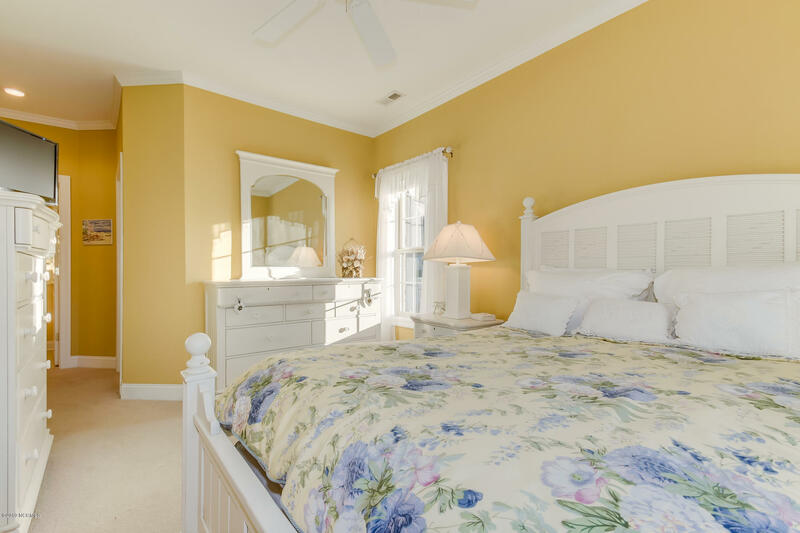 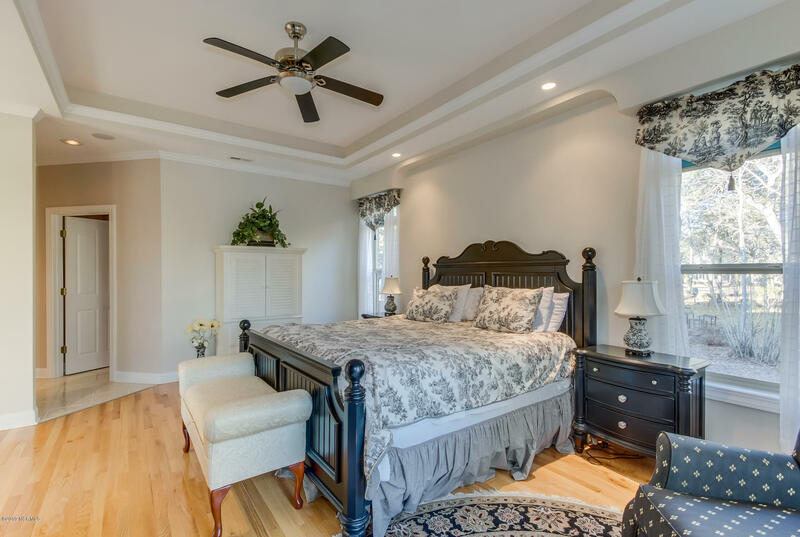 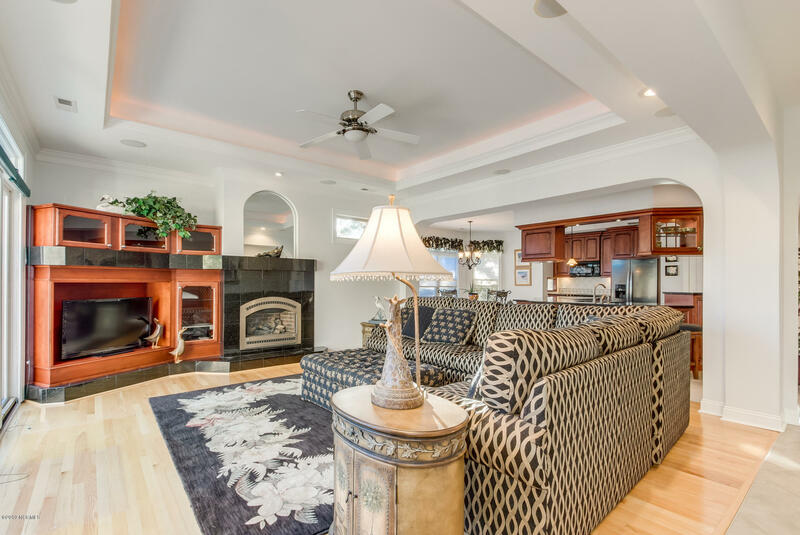 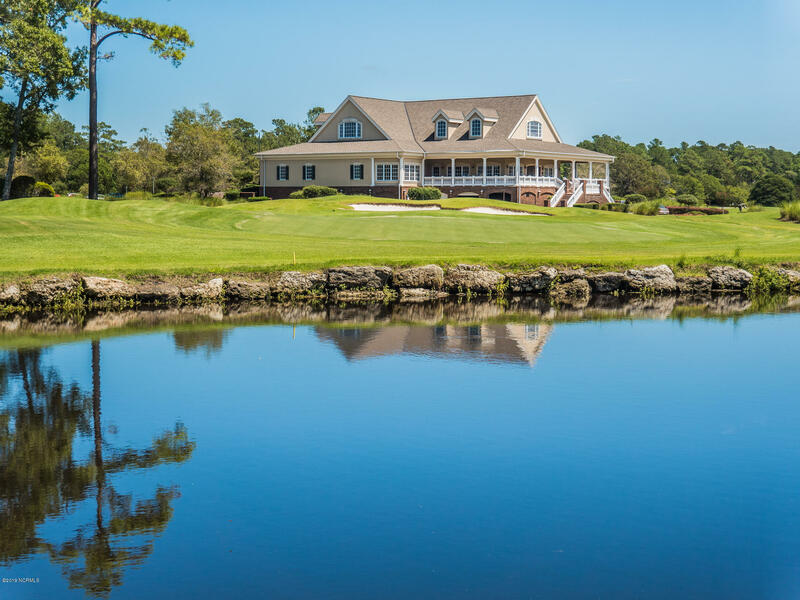 Ocean Ridge Plantation, a gated community in Ocean Isle Beach, offers an "amenity rich lifestyle" with an oceanfront beach club, two gourmet restaurants fitness center, community pool, golf and tennis, walking trails, fishing pond, security services and much more.